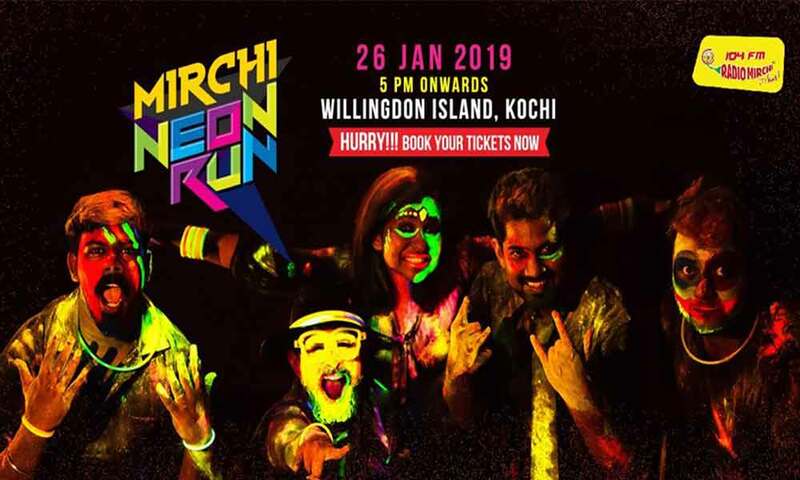 Mirchi Neon Run Kochi, a Running sports event happening in Kochi will be held on 26th January, Saturday 5 PM onwards at Bristow Ground, Kochi Willingdon Island. 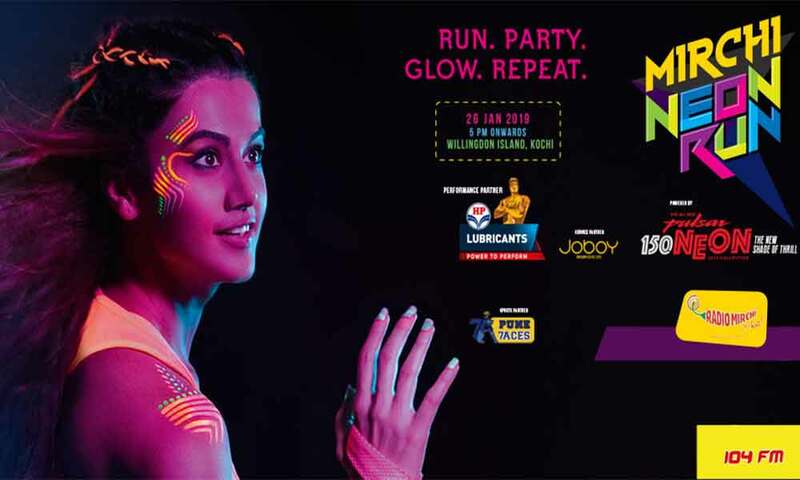 The Mirchi Neon Run took its first step in 2015 and is now a 22 city event across India. With a winning combo of a Zumba warm-up session, a post-run BDM party and loads of exciting neon glow-in-the-dark merchandise & accessories, this fun run is all that you need for a colorful night out. But wait, that’s not all cause this year we’ve also got the sensational Taapsee Pannu as our brand ambassador to help you get an experience like never before. Participation in the Mirchi Neon Run is available only for 3k.